The young musicians of Inscape Chamber Music Project perform as a flexibly sized chamber orchestra during their regular season, under music director Richard Scerbo. This summer, they offered two chamber music concerts, for which individual musicians could assemble a group of players to try out a new piece. The second of those concerts was performed on Sunday evening at Bethesda's Church of the Redeemer, where the group is ensemble-in-residence. The building's small sanctuary of white walls and blond wood has a warm, airy sound, best experienced close to the front. A reviewer from the Post found the acoustic wholly unsatisfactory at the first of the group's chamber concerts last month. We have reviewed the group once before, but at the National Gallery of Art, a much less forgiving space. 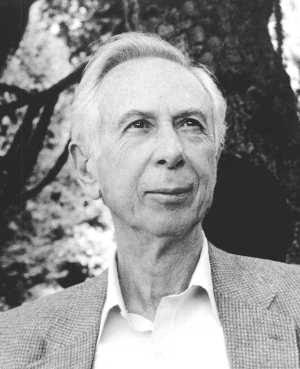 The high point of this program was at the end of the first half, the Trio for Clarinet, Horn, and Piano by George Rochberg (1918-2005 -- pictured). Completed in 1980, after the composer's return to tonality, it is solidly neoclassical in style, harmonically far from merely going backward to Chopin but a more or less traditional reworking of classical forms. (Listen to a different performance yourself for free online.) This rendition opened with a lonely horn solo played with forlorn beauty by the talented Andrew Downing, leading into a rollicking 6/8 Allegro con moto. The second movement was particularly lush, opening and closing with homorhythmic duets between Downing's horn and Evan Solomon's ideally matched and smooth-toned clarinet. Danielle De Swert, at the piano, crushed their simple two-part harmonies with more juicy dissonance, and all three musicians played with impressive control and sensitivity. Another worthy discovery was the Lullaby and Doina, composed by Osvaldo Golijov (b. 1960) for the film The Man Who Cried, about a girl who flees Russia and falls in love with a gypsy. Golijov has not impressed me much as a creator of large forms, but he has an evocative style, an episodic melodic imagination that should thrive in the composition of film scores. The piece lurched to life like a wheezing music box, with a melancholy tune over creaky viola harmonics. That lullaby was then interrupted by the cantillating call of the clarinet, introducing the doina, with the folk parlando taken up in the viola and concluding in a static but pulsating dance. The program ended with Benjamin Britten's second string quartet, a piece that always moves me. Perhaps because it was difficult to hear one another in the acoustic of the sanctuary, the string players suffered some unpleasant tuning issues, especially the cello, and the more complicated sections with big accented chords were not always rock solid. My ears have heard the work played much better -- by the Belcea Quartet on disc and, in concert, by the Auryn Quartet and especially the Jupiter Quartet -- but the group is to be commended for bringing together such a challenging and fulfilling program. The next concert by Inscape Chamber Music Project is scheduled for November 16, 2008. It will feature Ravel's Trois poèmes de Stéphane Mallarmé, Hindemith's Hérodiade, and a new piece by Joseph Hallman.